For those of you who don’t know who’s the owner of the “The Guitar God” nickname… here he is. It’s Joe Satriani. One of the all-time greats if not the greatest. Born on July 15th 1956 in Westbury, NY. An Italian American. The Guitar God. But wait, there’s more! He also plays bass, keyboards, harmonica, banjo, and harp. In his early career Satriani worked as a guitar instructor. So who were his former students you ask? 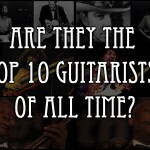 Just a couple of guys like: Steve Vai, Larry LaLonde, Kirk Hammett, Andy Timmons, Charlie Hunter, Kevin Cadogan, Alex Skolnick, Mohsin Ahmed Yousufi. Satriani’s guitar adventure began rather late. 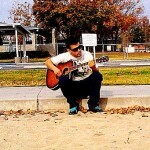 He was 14 years old when he announced to the world that he was going to become a guitarist. So in 1974 he studied music with jazz guitarist Billy Bauer and jazz pianist Lennie Tristano. After 4 years, in 1978 he moved to Berkeley, CA to kick start his music career. 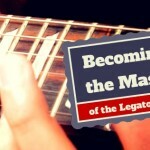 At that time he was teaching students like Steve Vai, Kirk Hammett of Metallica, and many more. Satriani’s first album – Not of This Earth (1986) – was an interesting compilation, but it wasn’t until his second album – Surfing with the Alien (1987) – when he become really popular. The album produced popular radio hits and was the first all-instrumental release to chart so highly in many years. In 1992, Satriani released The Extremist, his most critically acclaimed and commercially successful album to date. The most popular tracks from this album were: “Summer Song”, “Cryin”, and “Friends”. 1993 was an interesting year for Satriani as he joined Deep Purple as a temporary replacement for departed guitarist Ritchie Blackmore during the band’s Japanese tour. This whole thing was a big success, so Satriani was asked to join the group permanently, but surprisingly (or not) he declined. G3 – Satriani’s band founded in 1996. 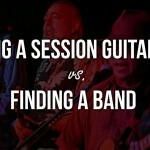 The main idea was to get three instrumental rock guitarists to play together. 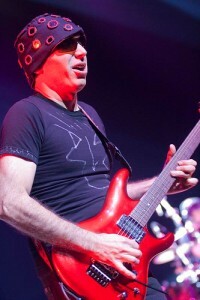 Satriani is the only permanent member in this group, featuring different second and third members. 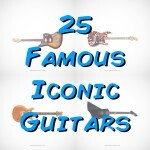 Over the years the following guitarists have participated in the group: Yngwie Malmsteen, John Petrucci, Kenny Wayne Shepherd, Robert Fripp, Andy Timmons, Uli Jon Roth, Michael Schenker, Adrian Legg, Paul Gilbert, and others. 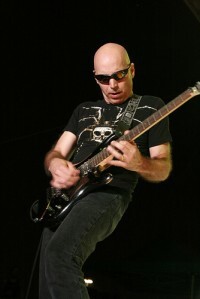 Since the year 2000 Satriani released several more albums with the last one – Black Swans and Wormhole Wizards – on October 5th 2010. You want some more numbers? 14 Grammy nominations, and over 100 million albums sold worldwide. How’s that? 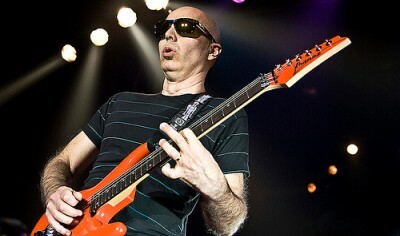 Satriani is well-known for his technique. 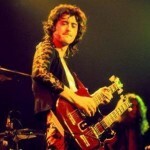 He has mastered many performance techniques, including legato, two-handed tapping and arpeggio tapping, volume swells, harmonics, and extreme whammy bar effects. 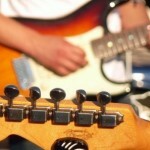 Satriani uses equipment designed specifically as his signature products. Ibanez’s JS guitars series, and Peavey’s JSX amplifiers. His effects pedals include the Vox wah, Dunlop Cry Baby wah, RMC Wizard Wah, Digitech Whammy, BK Butler Tube Driver, BOSS DS-1, BOSS CH-1, BOSS CE-2, BOSS DD-2 and a standard BOSS DD-3 (used together to emulate reverb effects), BOSS BF-3, BOSS OC-2, Barber Burn Drive Unit, Fulltone Deja Vibe, Fulltone Ultimate Octave, and Electro-Harmonix POG (Polyphonic Octave Generator). Furthermore, Satriani has partnered with Planet Waves to create a signature line of guitar picks and guitar straps featuring his sketch art. He’s not just some guitarist. He’s the guitarist. Constantly creating and working on new projects. I’m sure we haven’t seen the last of him yet. Since 1989 Satriani has been releasing new albums constantly every two years or so. Keep your finger on the pulse cause a new album is surely on its way.